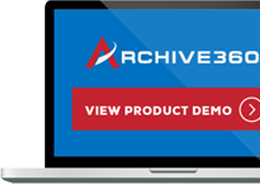 NEW YORK – September 5, 2018 – Archive360®, the world’s leader in intelligent information management solutions, today announced one of the nation’s leading real estate services firms has chosen its its FastCollect™ for Archives and its Archive2Azure™ to find, migrate and manage its data in the Microsoft Azure Cloud. Its goals in choosing the Archive360 software solutions include easier management, increased capabilities and better data insight, as well as legal preparedness and regulations compliance. It also plans to leverage the Archive360 solutions to reduce its costs, and expects to reap a 5x reduction in overall costs of managing repository data. The NYSE-listed Fortune 500 real estate services company, which specializes in mortgage and diversified services, manages over 20,000 employees and generates more than $7 billion in revenue annually. As an organization that operates in a heavily-regulated industry, the company is bound by an array of compliance requirements to preserve, archive and manage data and communications, including email. The company had 350 TBs of business-critical data housed in an expensive and underperforming third-party archive (Micro Focus Digital Safe) which did not meet the company’s legal and compliance obligations. This is the largest single repository of email archive data for the company, and includes information connected to ongoing litigation matters. After an exhaustive and successful proof of concept (POC) and pilot, the firm choose to replace its current system completely, with Archive360. The real estate services company is now leveraging both FastCollect for Archives and Archive2Azure. 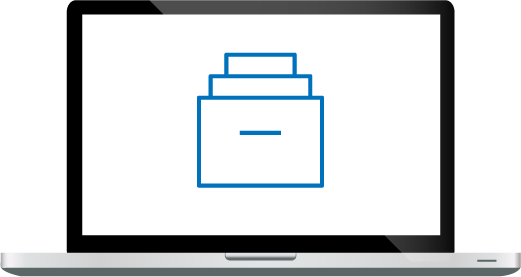 FastCollect migrates the data from source archives to the customer’s Azure blob storage account, and validates the data to ensure a legally defensible migration with chain-of-custody reporting. This firm is also benefiting from the fact that Archive360 co-developed Archive2Azure with the Microsoft Dx Team so customers can index, search and manage data quickly and accurately in the Microsoft Cloud. In addition, Archive360 provided in-depth training so the customer’s own internal team could seamlessly and expertly manage the end-to-end solution from day-one (although, Archive360 customer support stood/stands ready should this customer ever have any questions). This project was Step One, in a larger company-wide initiative to consolidate data that currently resides in disparate on-premise legacy archives, and move it to the Microsoft Cloud. Archive360 was also selected as it offers the ideal solution for meetings this firm’s goal to address both immediate data management concerns, as well as align seamlessly with Microsoft’s products and services over the long-term.